Miodrag Baletic is coaching his first ever EuroBasket Women final. The Montenegro team has lit up the tournament with its style of basketball. The players' performance has elevated them from the unknown to one of the teams in contention for the Additional Olympic Qualifying tournament and also for the title of the 2011 European champions. Baletic has been involved in coaching since 1971 when he started with BC Sutjeska Niksic in the former Republic of Yugoslavia. While he has not only spent most of his coaching career after the dissolution of Yugoslavia in the former states: Serbia, Bosnia and Herzegovina as well as Montenegro he has also coached in Macedonia and France. Internationally his work with the Yugoslavian and Serbian/Montenegro men’s teams has seen him pick up a number of awards. However his biggest challenge was building the new women’s national team for Montenegro. All his previous work had been in the world of men's basketball. Baletic took up the role of the women's national team coach in 2007. In 2009 Montenegro won promotion from the now defunct Division B with an impressive record of 12 wins from 12 games. With the Montenegro men also winning promotion that year Montenegro's national basketball had a double celebration. 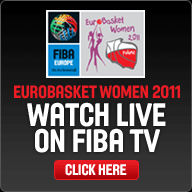 In the summer of 2010 Montenegro qualified in style for the 2011 European Championship for Women just behind Turkey. Baletic explained that he had problems constructing the team because players' priorities were different and that he had some rules that players had to obey. For him playing for Montenegro is about representing the country and not one's self. The star is the team. Baletic did not once mention any player by name, but spoke about collective units. The only time he made a reference to player he used the term players of experience. Then he added that Montenegro was a small country but was coming from a rich basketball culture. He hopes that the performance at the EuroBasket Women will be a trampoline for more women to get involved with the sport in Montenegro. He also hopes that this will be the first page of their own basketball history, because all the great things of the past was for the former Yugoslavian Republic and then the union Serbia-Montenegro. However the most important thing at the moment is to raise the standard of basketball in Montenegro so that in the years to come they will become one of the best nations in international basketball. This interview was held after their fifth game where he showed that he was more than happy with the way the team was playing. He said that he had been a trainer for such a long time, he did not need to get excited when they did good things. His role was to make sure that the players were performing to the best of their ability at any moment so he had to remain calm for the players to do their job. He selected the players with roles in mind. They have trained together, some players would play more than others but when the support players were used, they knew what to do and have done the job. Yet what has impressed him most is the team spirit. He said he could see this as an important factor that has got them the results so far and he was hoping that would take them even further. He told us that the more matches they won, the more they wanted. That was normal. EuroBasket Women has reached the stage where there were fewer teams and anybody could beat anybody. From now on there will be a lot of psychology and tactics and he hopes again that his players can come out on top. He has not set any objectives and the players take it one match at a time. They will prepare for the last group game against Latvia and once that is over they can think of what is next. Baletic has not been involved in women's basketball that long and is impressed by a lot of the basketball he has witnessed in this competition. He hopes that more money can be put into women's basketball so that more people are aware of the quality of some of the athletes on display. On a personal note his daughter Ana Beletic (above in picture) who was badly hurt in the opening game has returned home to Montenegro for further diagnosis.